“The Greatest Poem of Ancient or Modern Times”. This was how Alfred, Lord Tennyson, described the Book of Job. 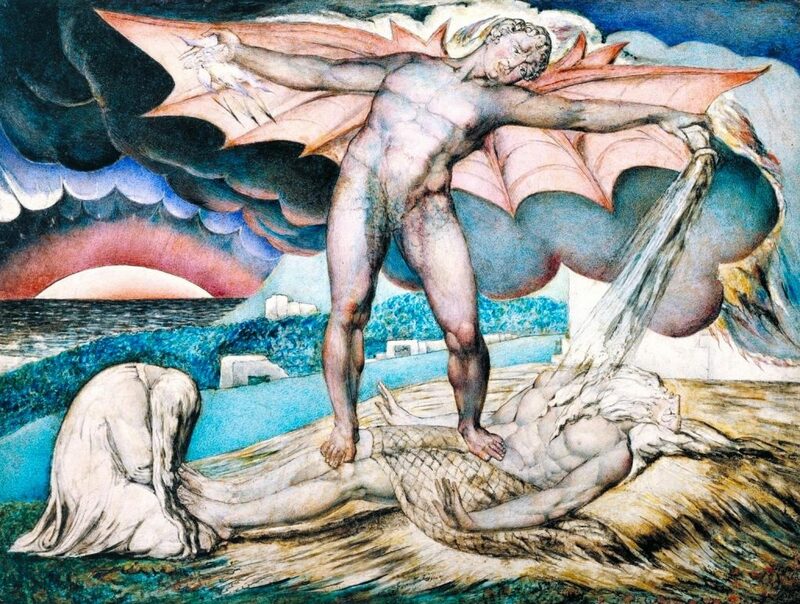 A work that has inspired and challenged both intellectuals and artists, including William Blake, from whom the painting used to promote this performance comes from. Belonging to an ancient Near East genre of writing known as Wisdom Literature, Job can be found in the Old Testament of the Bible. The story of Job concerns a righteous man, blameless and upright in God’s own words, who is beset by a series of tragedies that leaves him broken in body and soul after a meeting between God and Satan. Job is visited by three friends who insist that he must have done something to deserve the suffering he is experiencing. It is the dialogues between the friends that make up the bulk of the work as Job tries to defend his innocence. The Book of Job, like much of the Old Testament, comes from the period of human history before literacy was common place, and stories and traditions were passed on orally. It is this oral tradition where the craft of acting and theatre first emerged. Working mainly from the New Living Translation, Book of Job at the ON THE EDGE Fringe Festival 2018 is a condensed version of the story that appears in the Bible, and is a trial run for what Jim McCaskill hopes will be a rediscovery and a return to the oral roots of the story, and potentially of many other stories, Biblical and otherwise, that were in their original form meant to be experienced not just read.